Las Vegas, beware. 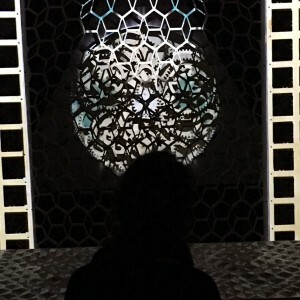 Meow Wolf is coming. (That's Las Vegas, Nevada, not Las Vegas, New Mexico. Which is not to say that Las Vegas, New Mexico is not a cool place in its own right). 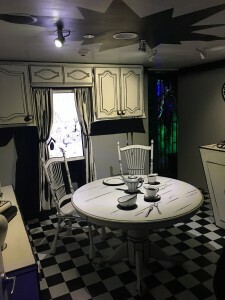 Hot on the heels of the unveiling of Meow Wolf's expansion to Denver, we're thrilled to reveal that a third permanent exhibition is planned, this time at Bugsy Siegel's favorite oasis in the desert. The new Las Vegas exhibit will be twice the size of the original here in Santa Fe (though smaller than Denver's), and will anchor the city's new Area 15 development. 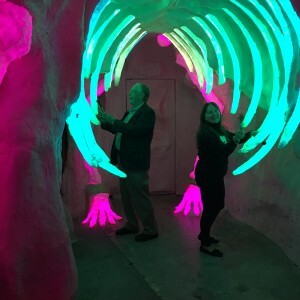 It's hard to stand out in a city that boasts a castle, a giant pyramid, a Roman palace, a circus, and a volcano that erupt on the hour, but knowing the talents of the men and women of Meow Wolf, Area 15 should be equal to the challenge. 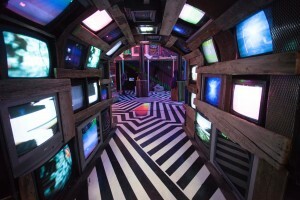 It's true... Meow Wolf is taking over the world. I blame those Charter Agents. ((Comemnts allowed, on Meow Wolf only. Stay on topic)). The floor on the bottom right picture looks like the Red Room from Twin Peaks. Any chance BOB is lurking around there?